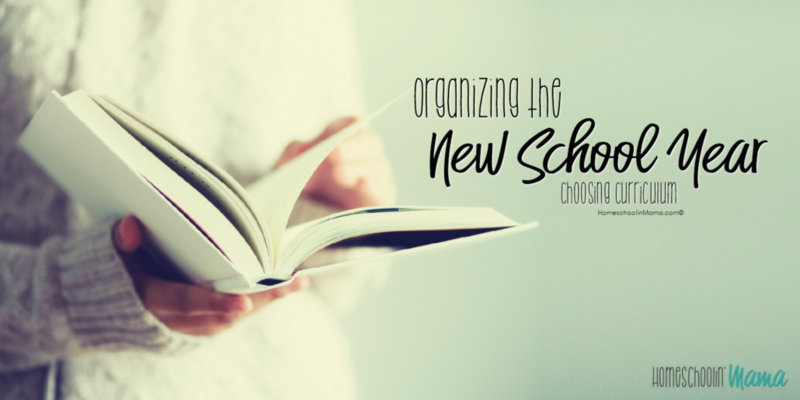 Welcome back to the series Organizing The New School Year! We talked about beginning this time with reviewing last years curriculum as a family. Now, we’re going to use this information to actually choose our curriculum for the new year. First we want to begin by creating goals for each of our kids. What do they need to work on? What about them shows great character? How can they improve upon it? For their age – What should they be doing? What do you want to see accomplished in this years academics? What are they working on that needs continued improvement? 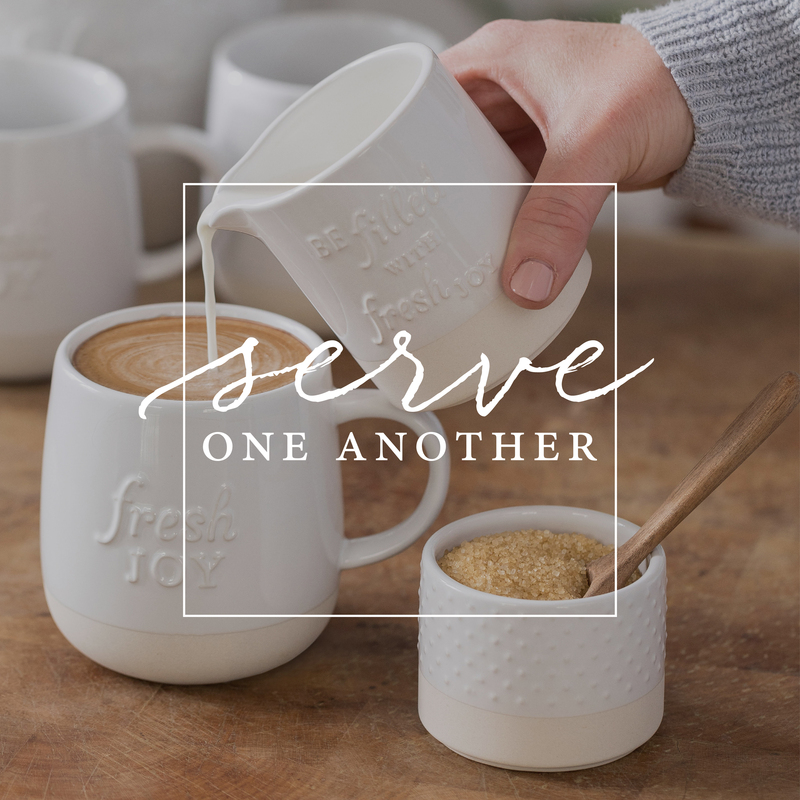 What are some of your basic goals for him or her? I also like to have each of my kiddos sit down and write out what their goals are for themselves for the year. Of course for little ones you will write it for them, but it’s great to hear what they think they should be doing too. Homeschooling is a whole family kinda thing, so include them in this process as well. You never know, they may surprise you and come up with some amazing goals for themselves – don’t hold them back! Goals are set and it’s time to make sure that the curriculum you thought you wanted for this year is still a good fit. So take out your Year in Review worksheets and go over each subject. Is this going to help my child reach their character & academic goals? Is this the right age/curriculum level to get them where they need to be? What is missing to make this complete? Also, consider following some of the homeschooler on Facebook, Twitter, Pinterest. Post questions on their pages. If you’re considering a specific curriculum ask for others to share their opinions. But do remember – these are just their opinions. It could still be a great match for your child. 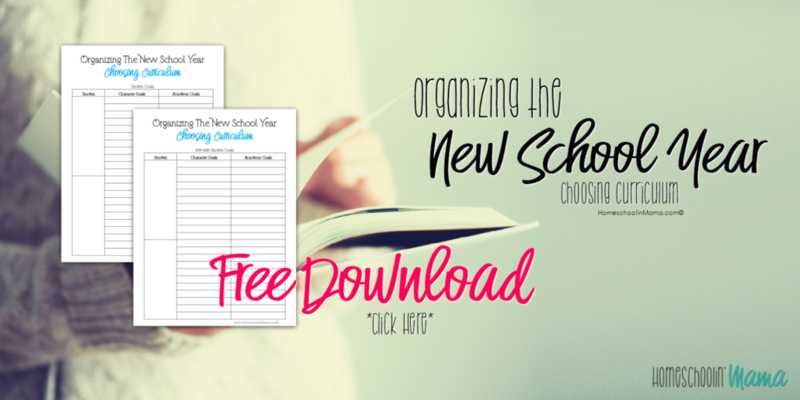 Below you’ll find a free worksheet to help you in choosing your curriculum for the new homeschool year. Print them out. Set your goals. Then save them and use them in the years to come. You’ll be thankful you did!